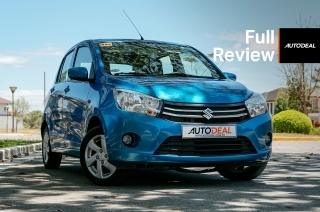 Is the Blue Power diesel engine a worthy upgrade? Back in the day when Voltes V was a big hit, pickup trucks were primarily stereotyped as a workhorse vehicle or in Filipino slang – pang harabas na oto. Harabas in the sense that this vehicle type was primarily used to transport furniture, PVC pipes, cargo boxes, water gallons, and almost anything that can fit on the pickup’s bed. 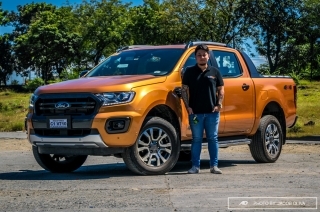 However, pickups slowly shifted from being a workhorse vehicle into a lifestyle truck when Voltes V decided to call it quits. Yes, pickups are still being used by some as a harabas oto but, people are now also using it as an everyday vehicle and even a family car. In other words, pickup trucks should be flexible by having the ability to be a cargo hauler and a family transporter. 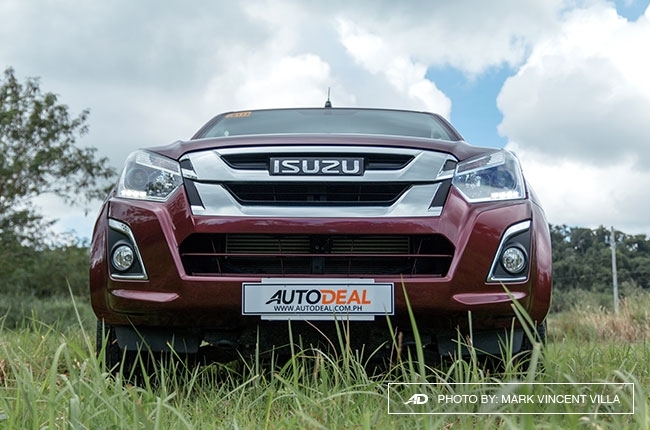 Among the many pickup trucks in the market, Isuzu Philippines is offering the 2018 D-Max, which is now equipped with a Blue Power Euro 4-compliant turbodiesel engine. 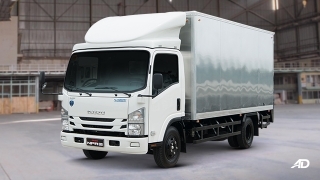 Could it be both a workhorse and a lifestyle truck? Let’s find out. Engine is relaxed even at high speeds. 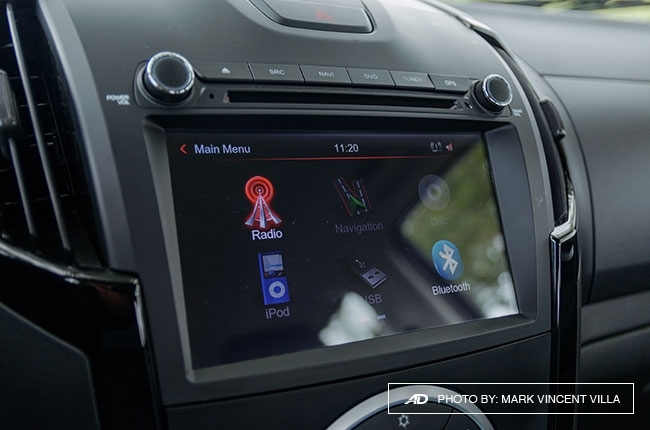 Touchscreen infotainment system is easy to use. 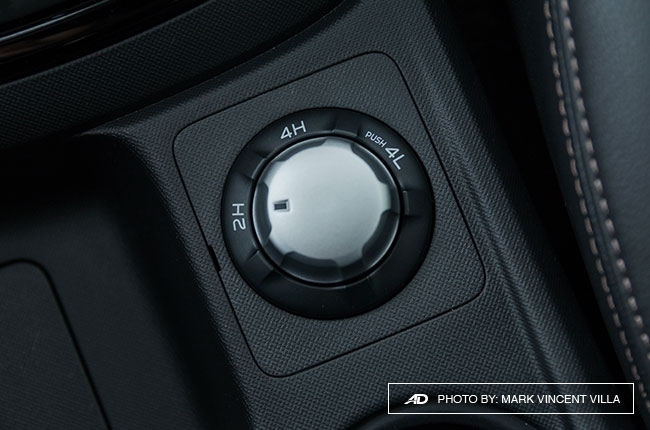 The D-Max now has hill descent control. The interior is filled with hard plastic. 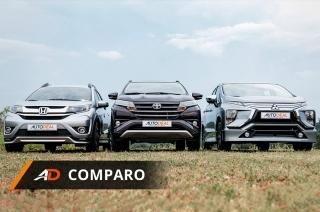 Exterior-wise, the 2018 D-Max looks similar to its predecessor. In fact, there’s no actual difference at all except for the Blue Power badge and the 20th anniversary logo on the tailgate. 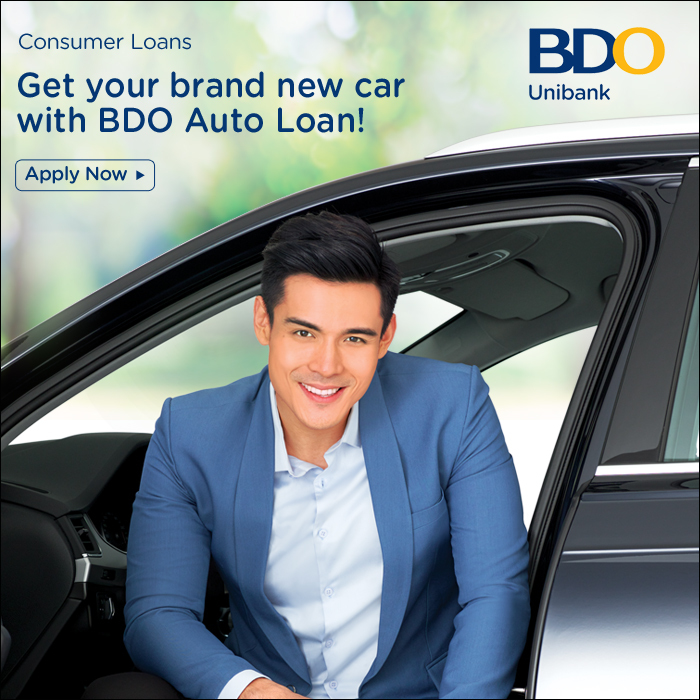 The front end is still fitted with a large chrome grille, sweptback headlights, fog lamps, and a muscular bumper. 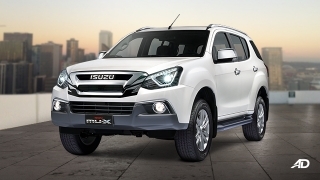 The D-Max’s fascia is complemented by its prominent wheel arches. Despite having the same exterior design from the outgoing model, I still like the D-Max’s overall physique. It’s aggressive, composed, and ready to battle. 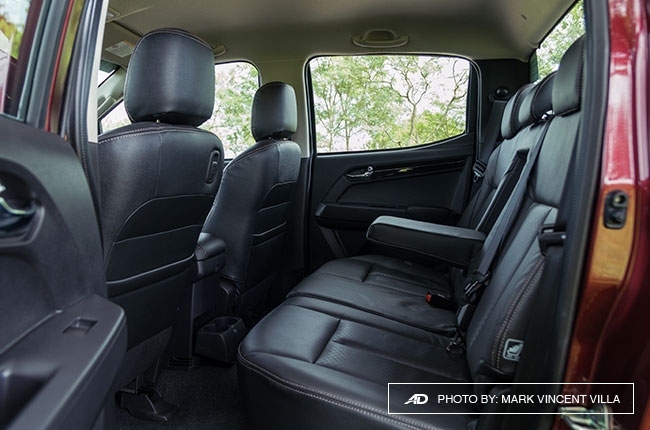 If you’re familiar with the outgoing D-Max’s interior, you’ll experience some sort of déjà vu when you step inside the cabin. Why? Well, let’s just say that it looks pretty much the same as compared to the previous model. 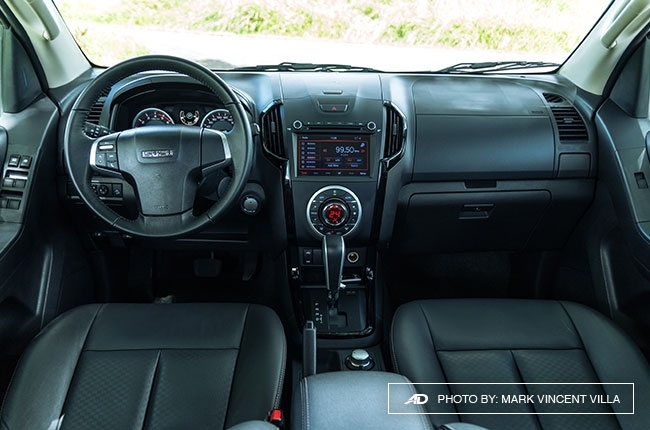 The D-Max still has the same straightforward dashboard that’s dominated by hard plastic, which would be a welcoming sight for people who prefer a simple yet functional interior design. 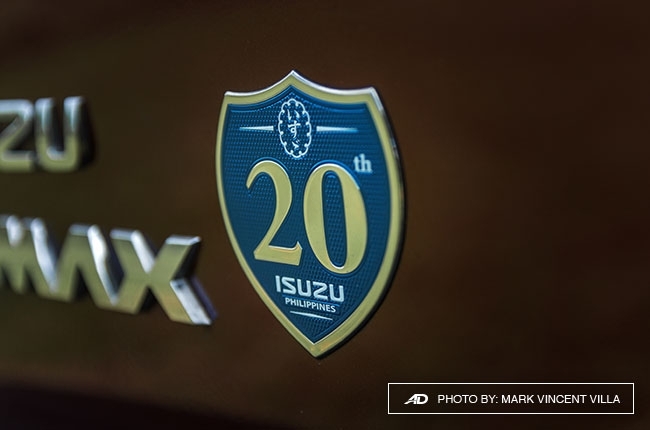 However, I wish that Isuzu integrated soft touch materials to the D-Max’s dashboard in order to tone down the ruggedness of its interior. After all, pickup trucks are now being used as a family car. 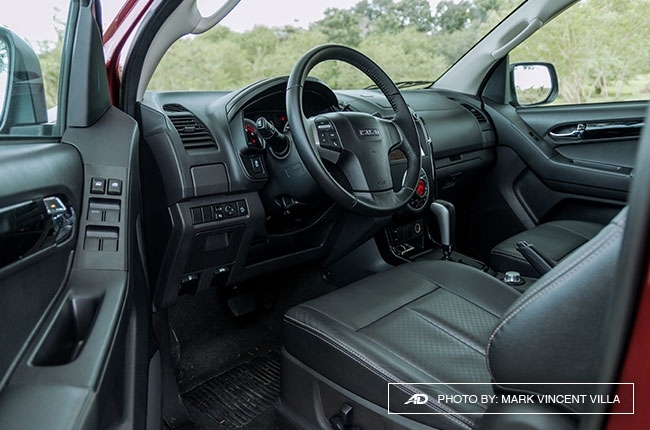 Moving on, the D-Max has a black interior theme along with a slight touch of silver and piano black accents. 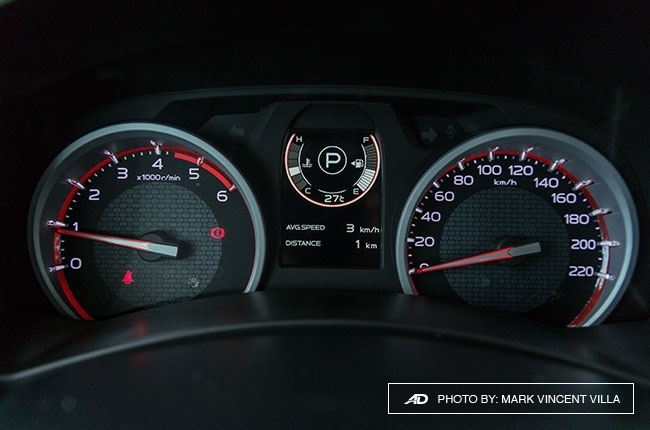 I like the simplicity of its white-on-black instrument cluster. 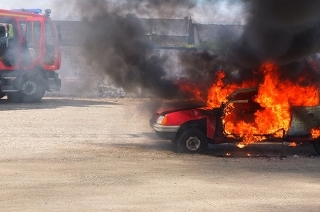 It’s easy on the eyes and feeds the essential vehicle information to the driver. The touchscreen infotainment system is responsive to every touch. 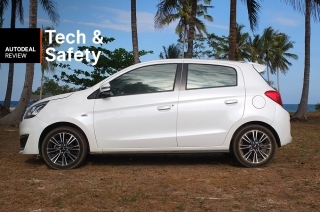 However, it sometimes lags in displaying the rear camera when you put the gear in reverse. 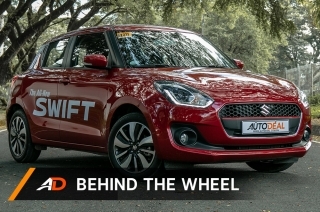 It also comes with an electronic dial to switch from 2-wheel drive to 4-wheel drive. 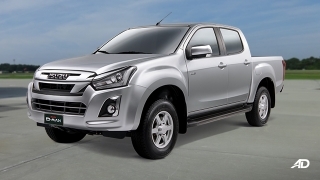 You might be wondering what’s new with this D-Max as its exterior and interior is basically a carryover from the outgoing model. First, it now has hill descent control, but that’s just the tip of the iceberg. 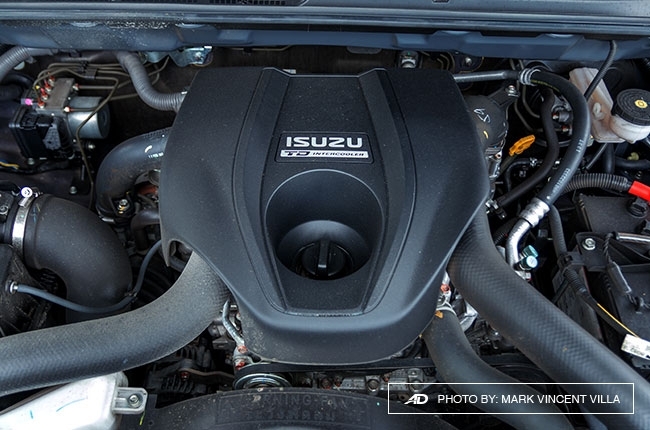 The more notable upgrade equipped in Isuzu’s pickup truck lies under the hood – the 3.0L Blue Power Euro 4-compliant turbodiesel engine that’s connected to a 5-speed automatic transmission. 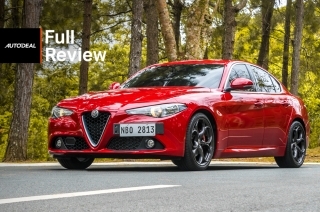 It delivers 177 hp, which is 14 hp more as compared to its older engine. 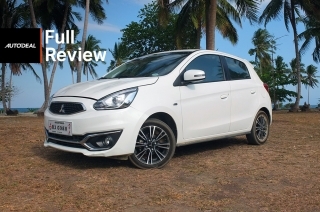 On the other hand, the torque rating remains the same at 380 Nm. 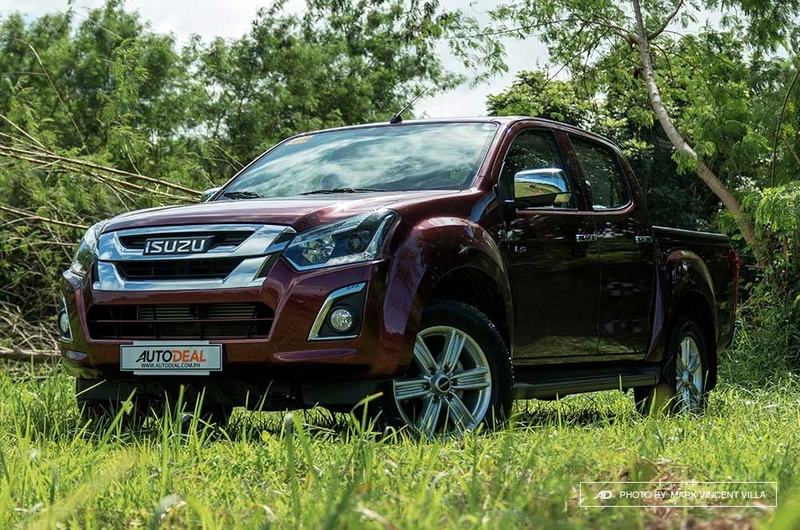 You might say that it’s just a 14 hp power bump so why bother considering the new D-Max, right? Well, don’t judge this pickup truck just yet. 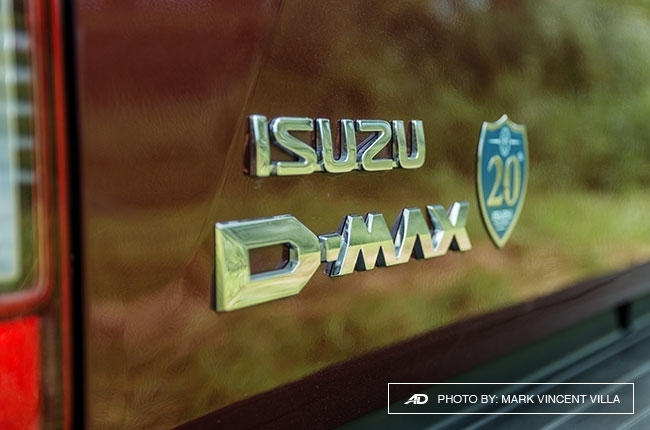 The D-Max’s Blue Power engine was more relaxed as compared to the old one. Relaxed meaning it didn’t feel stressed and it ran smoothly when cruising at highway speeds. 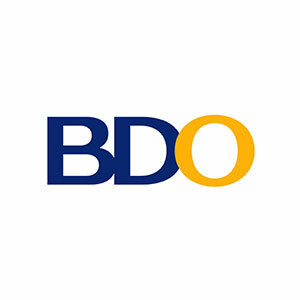 Speaking of which, driving through the South Luzon Expressway (SLEX) was a breeze. 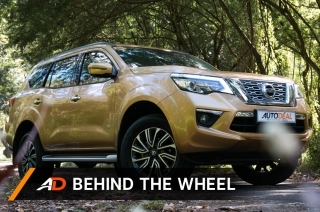 The D-Max was composed and gave us confidence whenever we wanted to overtake slower vehicles. We only wished that the new D-Max came with an extra gear. 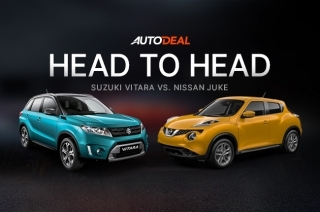 To put things in perspective, its rivals such as the Ford Ranger and the Nissan Navara have 6-speed and 7-speed automatic transmissions, respectively. 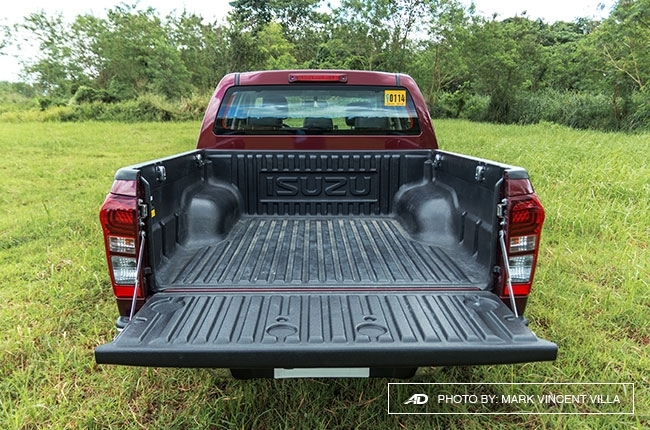 With the extra gear, the D-Max’s fuel economy would be more stellar. 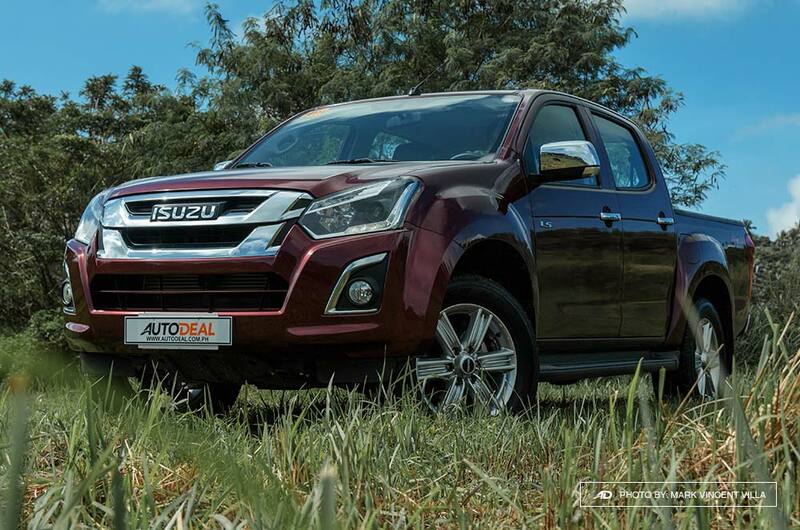 Despite that, Isuzu’s pickup truck still posted a respectable 14 km/l while running at an average speed of 90 km/h — not bad considering the vehicle’s overall weight. The ride was softer and more comfortable as compared to the old D-Max. However, you do have to take it easy when driving through metro’s dilapidated roads because the ride wouldn’t be pleasant for rear passengers. Keep in mind that you’re driving a pickup truck. The D-Max’s steering was heavy, which could be a bit of problem when you’re parking or making a U-turn. 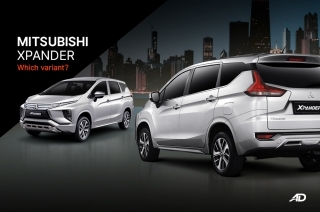 In terms of fuel economy, it posted 6 km/l in the city (average speed of 15 km/h). 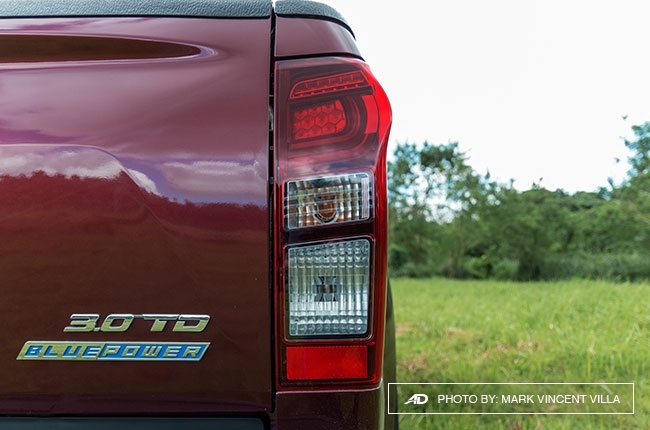 Overall, the D-Max may have the same exterior and interior design but the new Euro 4-compliant Blue Power diesel engine is a great upgrade for the D-Max. 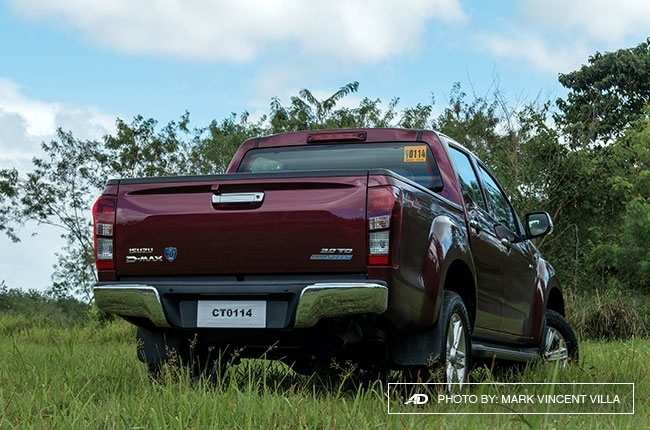 Yes, the Blue Power diesel engine is a worthy upgrade, which in turn pushes the price point of this D-Max to P1,720,000 (around P70,000 more compared to the outgoing model). 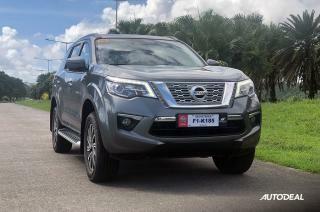 Considering all the points, it is still one of the practical choice when you’re on the look-out for a pickup that could both be a workhorse and a lifestyle vehicle.